Application development for various mobile and desktop operating systems typically require separate development processes, as each OS has its own native programming language. Thankfully, Xamarin unifies the development process by enabling the use of just one programming language — C# — to develop applications for different operating systems like Windows, Android, iOS, and MacOS. Applications written using Xamarin tools are mapped to the native application components of different operating systems, and the result is from 75% to 100% code reusability. You may read more about the features of Xamarin tools from our blog. In this article, we focus on the development landscape and some tips for hiring Xamarin developers. According to Xamarin, the cross-platform tool is used by over 1.4 million developers worldwide. Moreover, Xamarin products are used by over 15,000 companies from over 120 countries in different industries such as media, transportation, finance, healthcare, and gaming. According to HG Data, in the United States alone, the product has seen a 33.14% year-over-year increase in its client base from 2016 to 2017. In terms of Google search count, Google Trends reports that Xamarin has seen a dramatic increase in interest in early 2016, which coincides with Microsoft’s acquisition of the company. 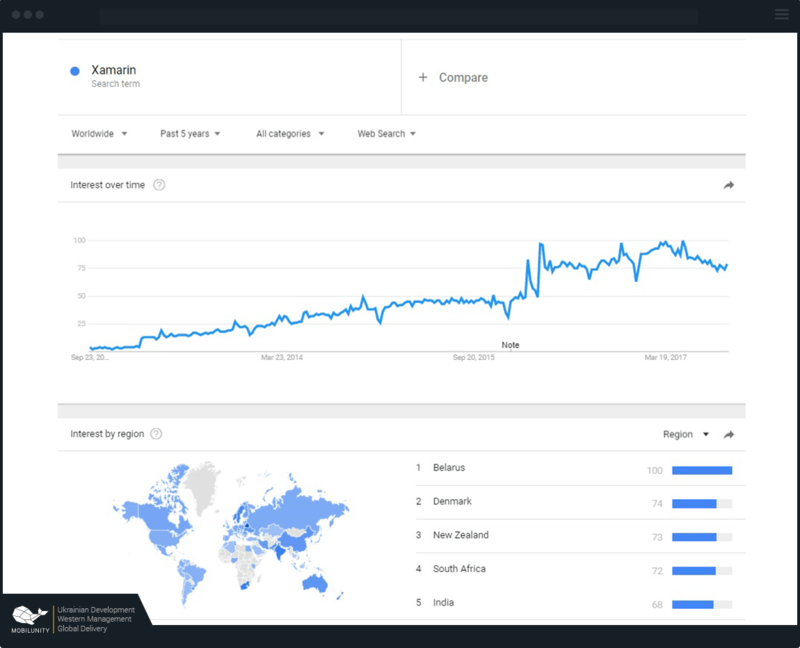 Since then, Xamarin has maintained heightened interest across the globe, with the greatest interest in Belarus, Denmark, New Zealand, South Africa, and India. Google Trends data on Worldwide Google Search Trends for Xamarin in the Last 5 Years. With Xamarin’s popularity, it may make one wonder why some people still stick to native application development instead of simply flocking towards Xamarin’s cross-platform solution. Indeed, Xamarin offers a lot of advantages over native mobile app development, such as dramatically shortened development times (up to 90%), almost-full code reusability, great performance that nearly equals native app performance, and the added flexibility of customizing components depending on the operating system. Native mobile development offers very little advantages over this technology. One of its possible advantages may be the software cost: while native development tools for Android and iOS are free, some tools come with a cost. While the basic Xamarin IDE is also free, added features such as Xamarin University (which provides training) and Xamarin Test Cloud (for cross-device cloud testing) must be paid for, but these aren’t required features, so this should not be a problem. Xamarin mobile application development for Android and Xamarin mobile application development for iOS are clearly the most practical way to go. If you’re planning to hire Xamarin developers, one of the primary considerations would be the cost. With many countries to hire from, let’s take a look at which country has the lowest Xamarin developer salary. In this comparison, we use data from PayScale, which shows self-reported salaries in different occupations. Since limited information is available on the salaries of Xamarin developers, we use information on C# developers, which is the base language of the discussed technology. 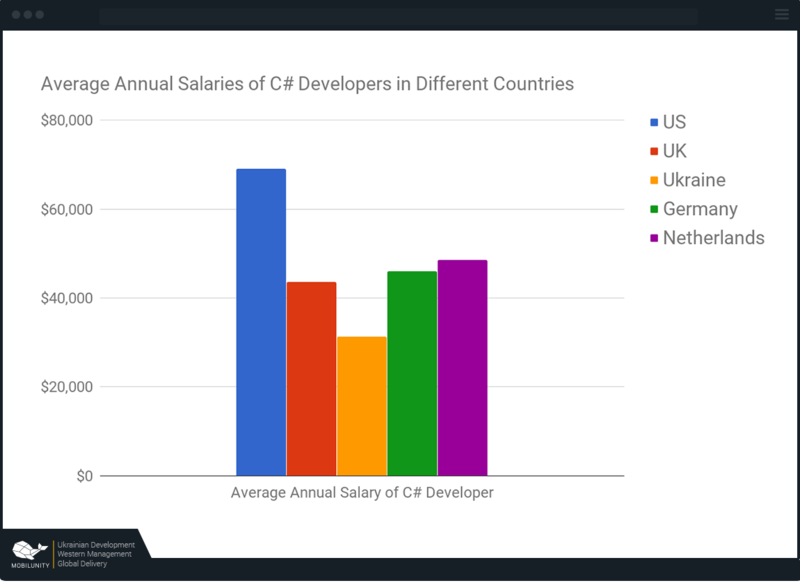 These figures may therefore not be very accurate, but they nevertheless give us the big picture of the relative developer salaries across different countries. It will be rather interesting to see what Xamarin software dev salary is in one of the most innovative countries in the world. Of course, we are talking about the USA. For this purpose, we conducted a research in order to evaluate Xamarin app developers salary in Seattle, WA, Austin, TX, Los Angeles, CA, San-Francisco, CA and Washington DC. The results are as follows. If you want to hire Xamarin developers Austin, be ready that Xamarin certified developer salary starts from $10,000 in this city. This statement is also true if we talk about Xamarin mobile developer salary SF Bay Area. Xamarin developers salary in Washington DC is also one of the highest among the selected cities. Here salaries for developers with Xamarin experience start from $9,000 a month of work. Let’s evaluate Xamarin developer salary in USA (Los Angeles). Here an average indicator of Xamarin Android developer salary is $8,400 per month. Seattle Xamarin developers cost is the lowest in our list. Here this indicator is $7,700. As we can see, this technology is rather high-paid across the USA, however, this does not prevent it from being one of the most popular in the field of mobile development. That is why there is a reason to consider all the options on how to hire this programmer for your development team extension and make your mobile app as profitable as possible. It’s clear that Ukraine offers the most affordable rates for C# developers among the countries we compared, and we can infer that this extends to other developers. We can deduce that the Xamarin mobile developer salary in Ukraine is lower that most other countries, and compared to the country with second lowest rate (UK), hiring a Ukrainian developer is likely to be at least 28% cheaper than hiring a Xamarin developer UK. If you want to hire Xamarin developer, you should know what is supply and demand for this specialist on the global labour market in order to make the most advantageous decision. In order to facilitate this task, we made a study and compared indicators of supply and demand for developers skilled at Xamarin across the world. All the data is based on Xamarin developers profiles and available job posts on LinkedIn. The obtained results turned out to be rather interesting. First of all, let’s look at the general indicators. So, if you want to find Xamarin developers to hire and the place of residence does not matter for you, in this case, the supply and demand are almost equal. The situation on American labour market for Xamarin freelance developers is the following: the demand for them exceeds the supply two times. Such a situation is also observed in Canada. The amount of Xamarin developers to hire is almost equal to amount of available vacancies posted for the Indian market that allows to talk about the rather balanced situation. Although if you outsource your development to India, most likely it will be hard to find good developer right away in case the current one let you down. This statement is also relevant for Germany. It is also not easy to find contract Xamarin developers in the UK. Here are 95 available resumes of developers and 140 job offers for them across the country, what means that such experts are highly demanded across the UK. But if to consider other countries, it becomes obvious that there are some challenges faced by Xamarin developers for hire. One of the main challenges for Xamarin developers in Ukraine consists in the fact that the supply considerably exceeds the demand. It is possible to see that there are 189 posted profiles and only 4 active vacancies. This means, that, firstry junior Xamarin developer has almost no chances of finding a job in Ukraine in current conditions. Thus, it is quite real for them to be hired by a foreign company as a large amount of posted vacancies include an opportunity to work remotely. This is the main reason for foreign companies to outsource their development needs to Ukraine and build dedicated development teams here. The IT market is vast, and there are many avenues through which you can hire Xamarin programmers. Here are some of the most common ones. You can go the default route and hire developers from your local market by posting Xamarin developer jobs on job search websites such as Glassdoor, Indeed, or LinkedIn. This method gives you full control over your developers and projects. However, in most countries where the rates of in-house developers are high, it can be quite expensive. Moreover, it will require you to allocate physical resources such as office space and computers. On top of their salaries, you will also have to pay government-mandated fees such as taxes and insurance, so these additional costs can really pile up. You can also take the route of project-based outsourcing, in which you delegate the development of your entire project to a third party, typically an outsourcing company. This lifts much of the burden off your shoulders, as the outsourcing company will be the one to carry out project management, business analysis, development team formation, and the entire development process. However, it gives you limited control over your project and developers. This process is also prone to misunderstandings in requirements which can lead to delays and additional costs. Moreover, due to overhead costs such as project management and business analysis, the price can also grow big. One other option would be to hire dedicated developers from a dedicated teams provider or offshoring company. In contrast to a freelance Xamarin developer, dedicated developers will work for you full-time and report directly to you while staying in their company’s premises. This option gives you full control over your project and developers, but also tends to come at a low cost due to the absence of overhead costs, and also because these companies are usually nestled in countries that have a low cost of living. Moreover, the offshoring company provides your developers with the necessary resources such as office space and computers, and they take care of all other costs such as taxes, insurance, and even software licenses, giving you huge savings. 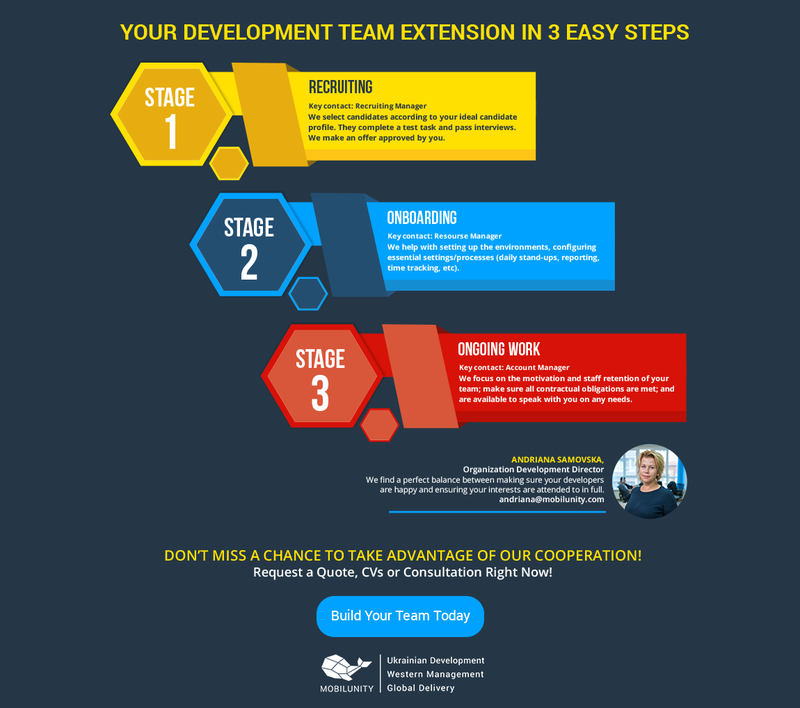 What’s more, this method allows you to add or remove developers as your project requirements change, giving you full flexibility over your project’s costs. Clearly, hiring dedicated developers is your most practical choice. One possible drawback of this method, however, would be the possible challenges with time differences and language barriers, so choosing the right country and company to hire from is of utmost importance. Here are some examples of CVs to give us a general idea of the usual background and skills of Xamarin developers. Experience: developed Enterprise Xamarin Forms App for iOS, Android and UWP. creation of Android/iOS apps using Xamarin technology. Technologies: Net Framework, Xamarin.Forms, Visual Studio…. We’ve looked into the various methods of hiring Xamarin coders, the typical salary in different countries, and some sample CVs of actual developers. Now that you’re well-informed of the development landscape, it would be a great time to hire! 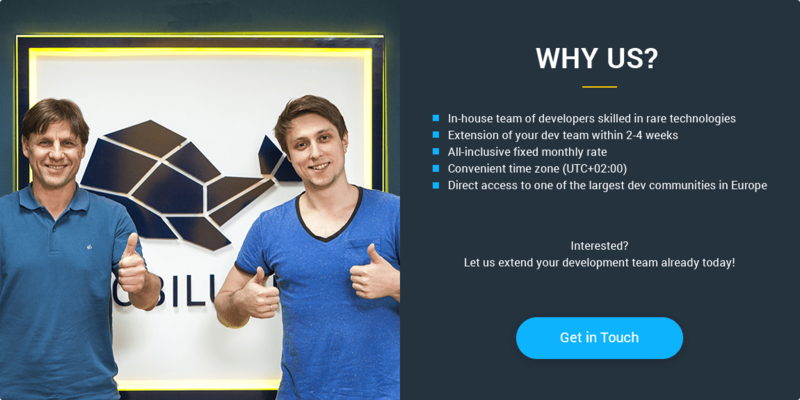 Here at Mobilunity, we house top-notch developers, and since we are located in Ukraine, our developers’ excellent skills come at very affordable rates! With us, you’ll realize that excellence doesn’t have to be expensive. Get in touch with us and start your Xamarin mobile app development today!